The family that slays together…. 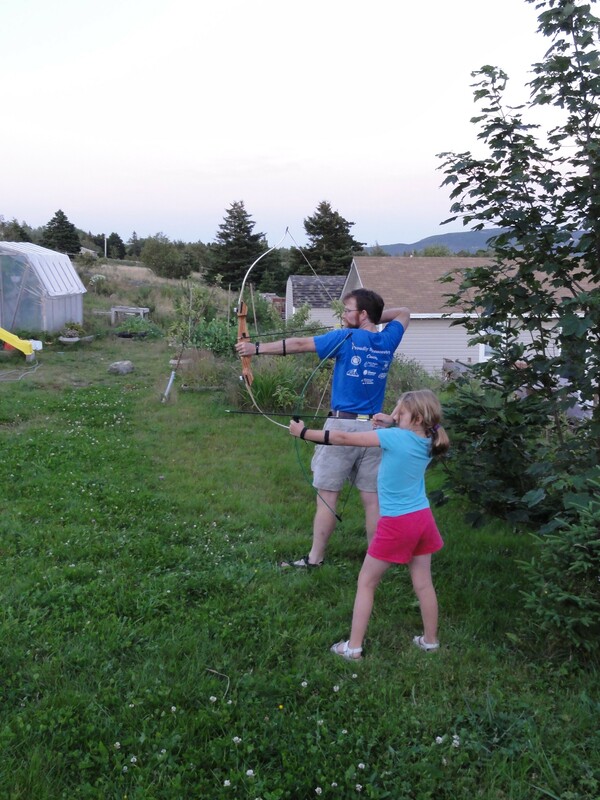 John and Katherine spent a little time this evening practising archery in the garden. This was Katherine’s first attempt with anything other than a stick-and-string bow that she had made herself. John’s composite bow hasn’t seen use in over a decade, so it’s nice that they have a common purpose of putting holes in things. That thwack at the end of the video? Yeah, that’s a hole in the comforter cover they used to catch the arrows. The fifth hole. Please note: No living comforters were used in the creation of this video. Previous Post All Around the Circle, part 2: If you gogo to Fogo….